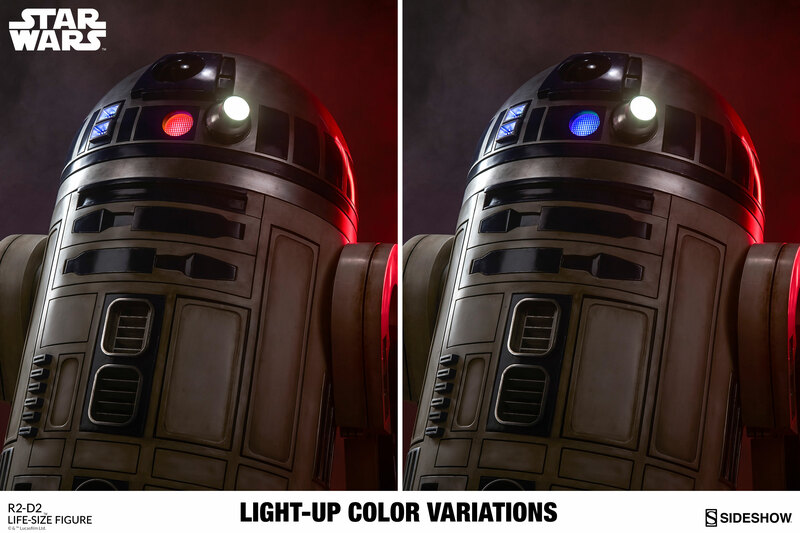 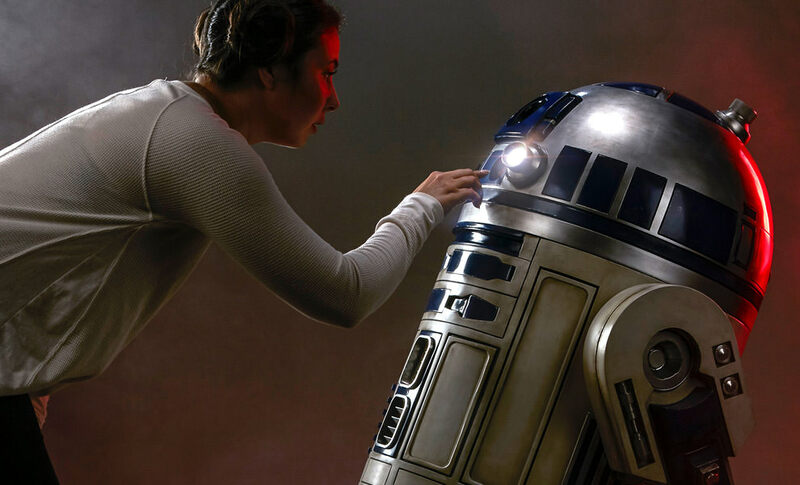 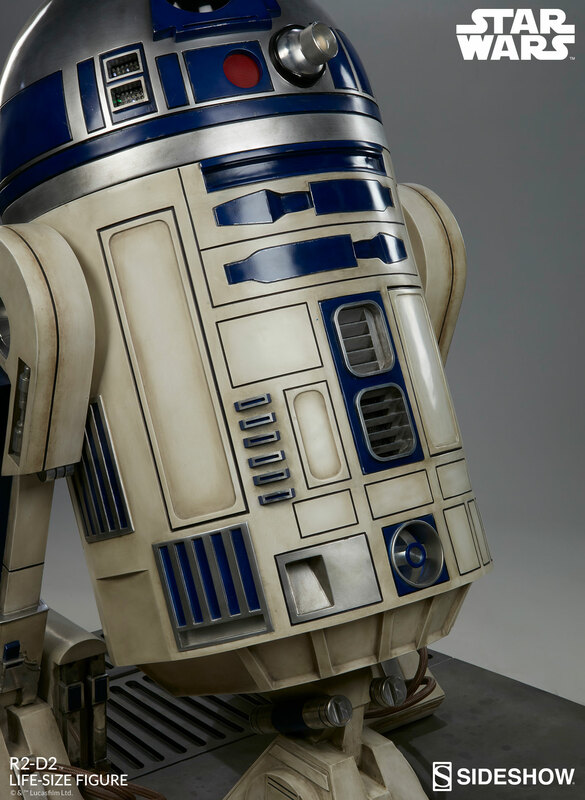 R2-D2 might just be the hero of the entire Star Wars universe. 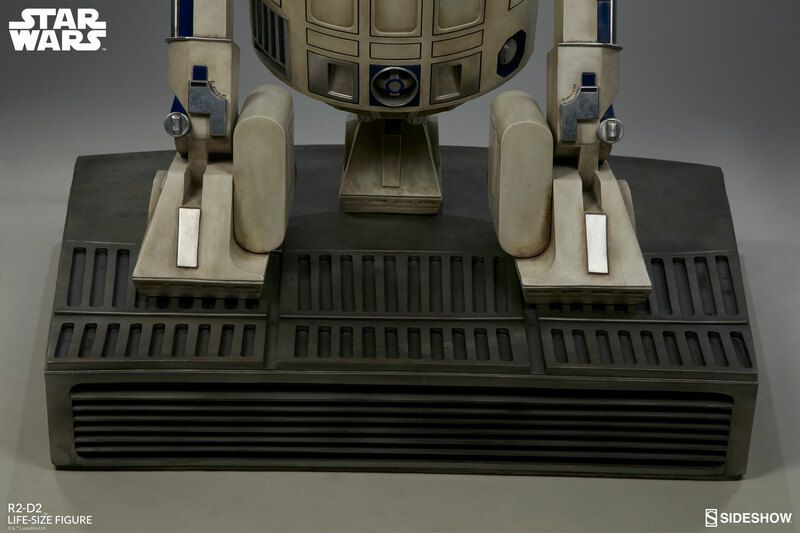 This plucky Astromech droid has saved the “heroes”, delivered vital information to the Rebels, and provided a breath of much needed comic relief in a galaxy far far away when things go to the dark side. 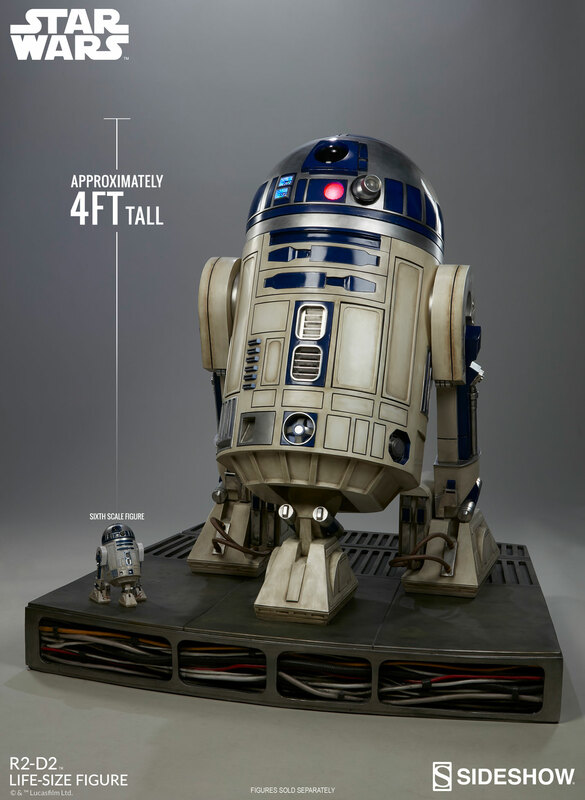 In honor of our favorite copilot, Sideshow is proud to present the R2-D2 Life-Size Figure, to deliver plans straight from the Rebellion to your Star Wars collectible collection! 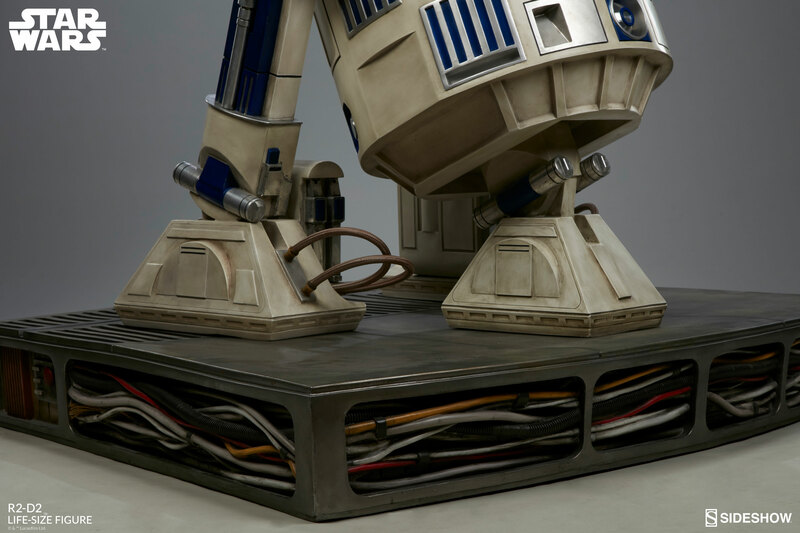 This Limited Edition Figure features a brand-new sculpt of our old friend, to make him look more realistic than ever before. 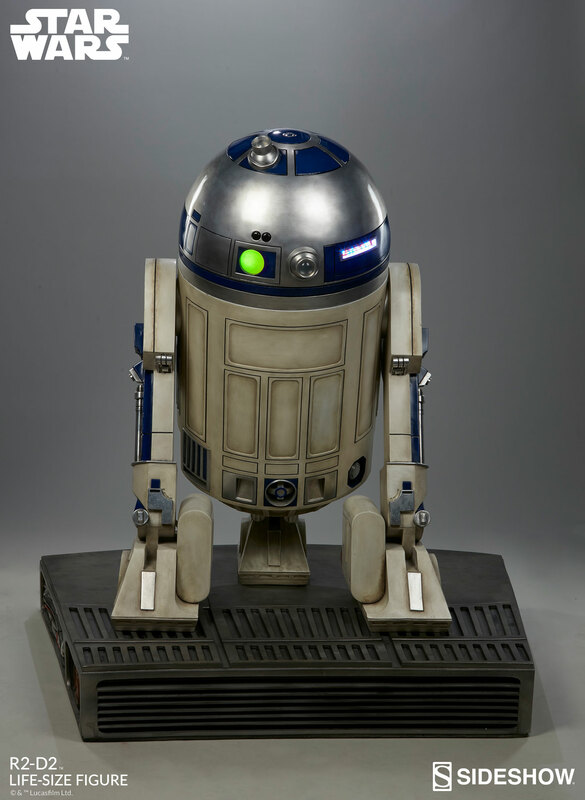 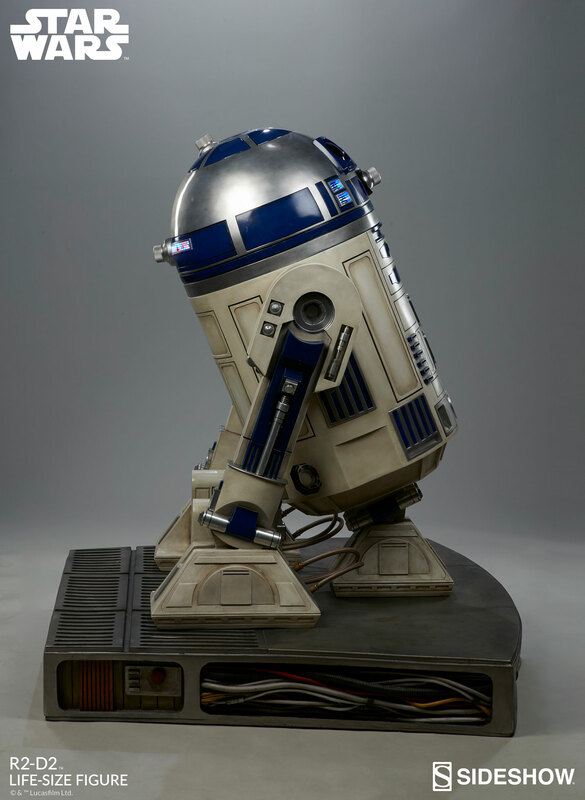 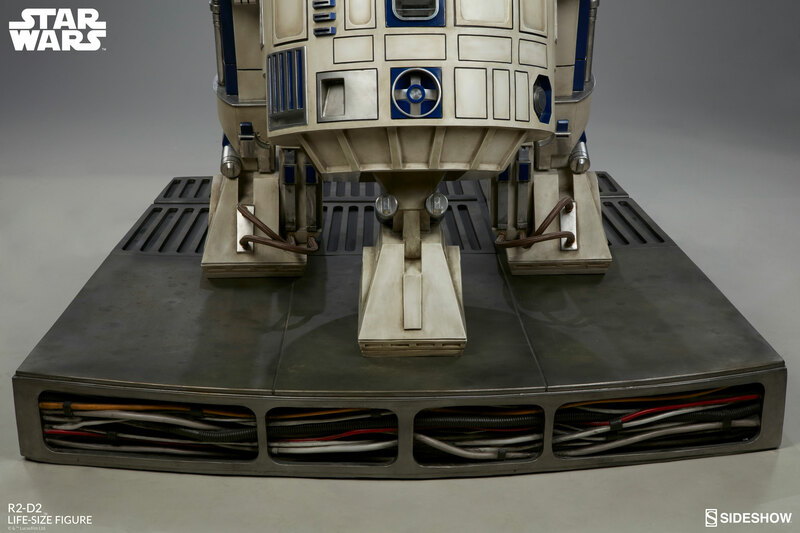 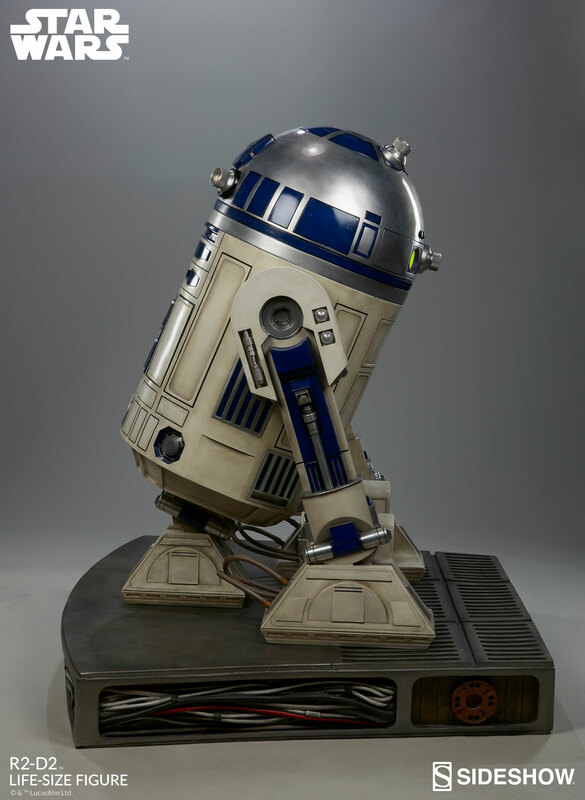 Standing at 48 inches, this R2-D2 unit is in prime condition and features a moveable dome, which can be swiveled left or right to give him the right attitude. 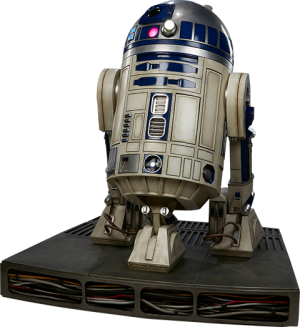 Holographic projectors can be rotated as well, giving you additional options for posing him. 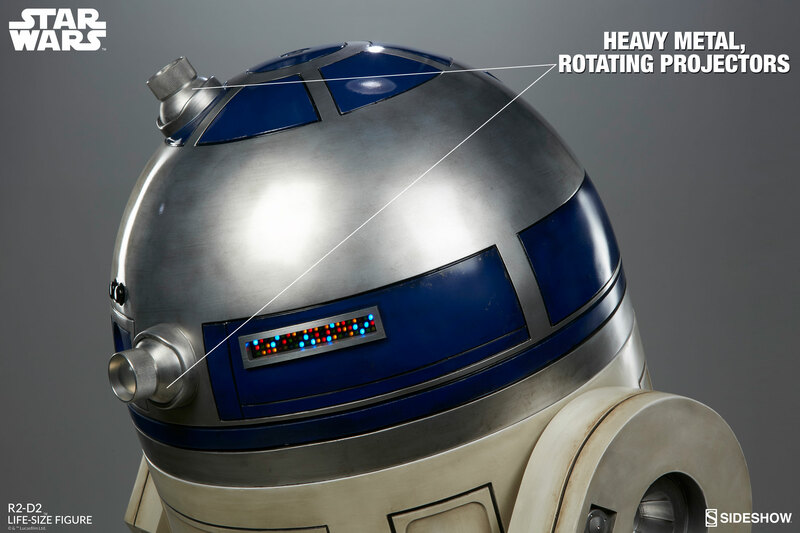 This droid’s dome also includes screen-accurate light-up features and sounds that bring him to life with the push of a button, wherever you choose to display him. 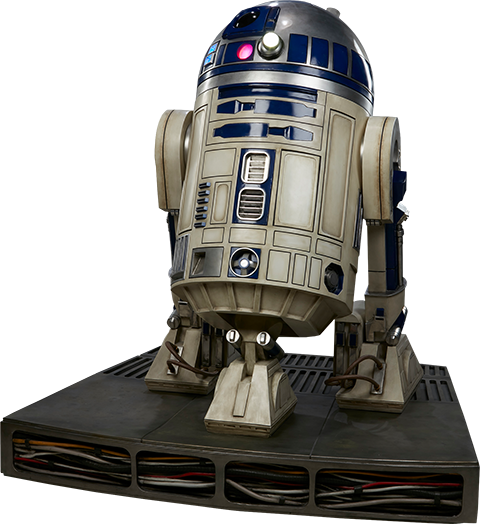 These sounds and lights are activated by a remote control which stores in a hidden compartment on R2’s body next to his speaker. 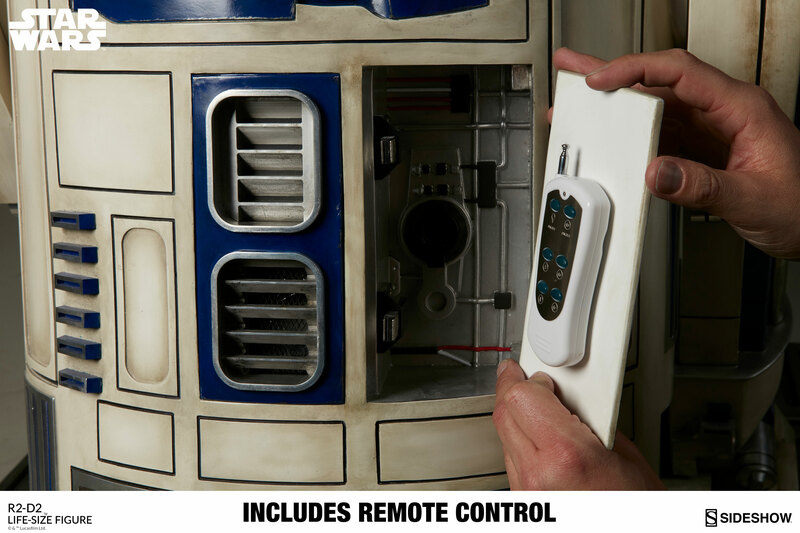 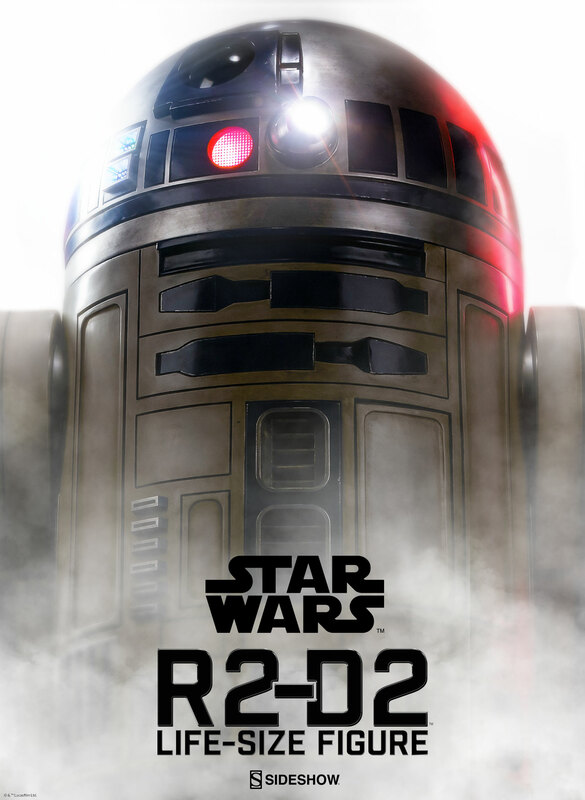 Activate the Astromech with his signature beeps and bwoops to bring the Star Wars saga to life in your living room! R2-D2 stands atop a Millenium Falcon themed base to give an added air of presence to your Star Wars collection. 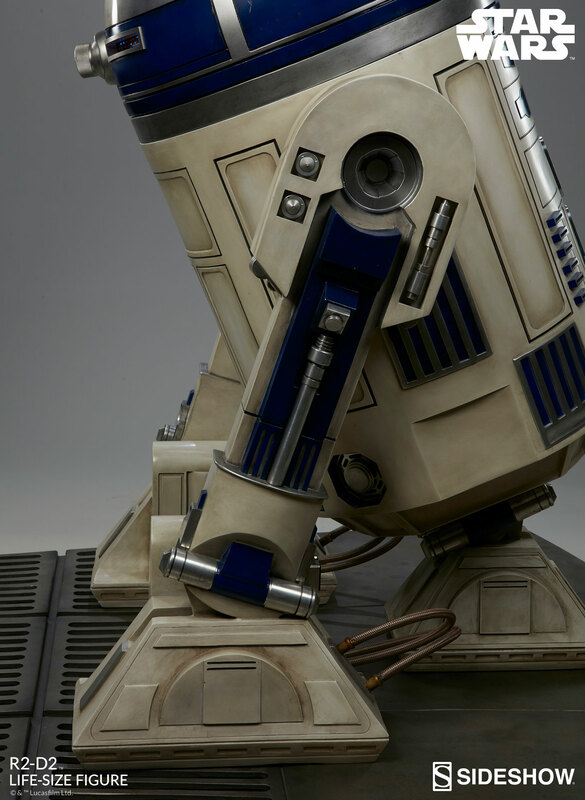 Lead the Rebellion with this trusty droid by your side. 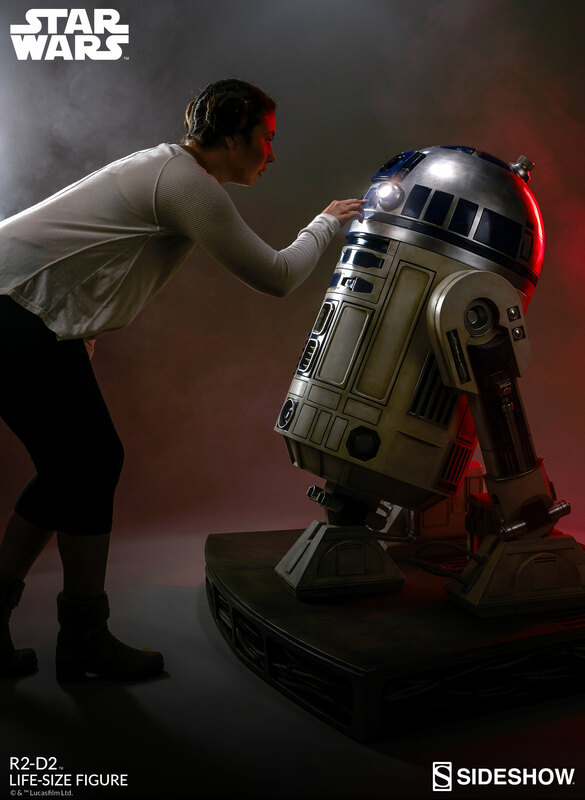 This Life-Size R2-D2 is an incredible addition to any collection and brings the world of Star Wars wherever he goes. 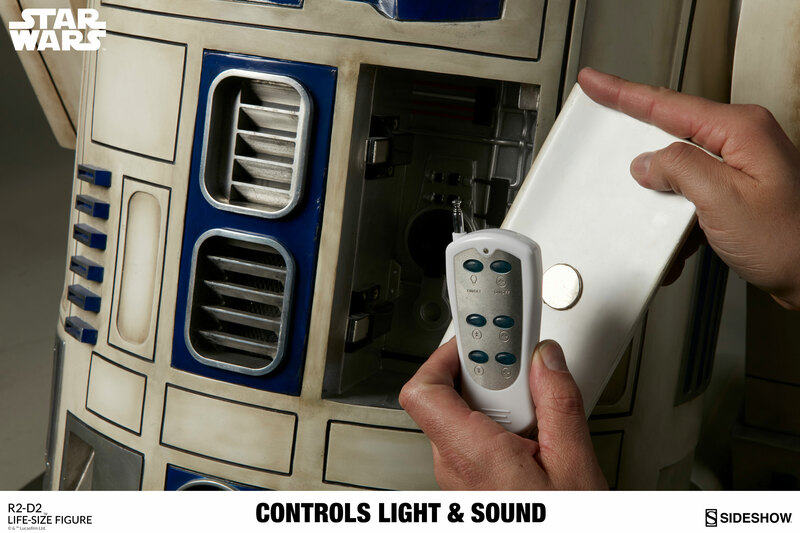 Pay as little as $745.00/mo. Totally amazing piece but we definitely need C3PO!! 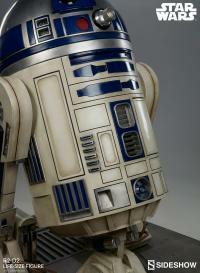 Just got my life size R2 unit, love it, but he needs his matching friend. 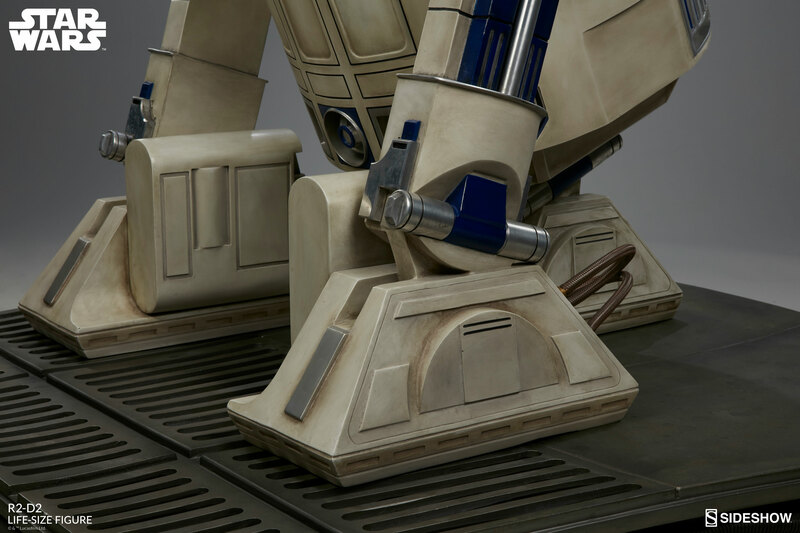 Please release C-3PO with matching base, I need it.